Although strategies to prevent global warming - such as by conserving energy, relying on solar and wind power, and reducing motor vehicle use - are well-known, societies have proved unable to implement these measures with the necessary speed. They have also been unwilling to confront underlying issues such as overconsumption, overpopulation, inequity, and dysfunctional political systems. Political and social obstacles have prevented the adoption of improved technologies, which would provide only a partial solution in any case if the fundamental causes of greenhouse gas emissions aren't addressed. Climate Change and Social Ecology takes a new approach to the climate crisis, portraying global warming as a challenge of rapid social evolution. 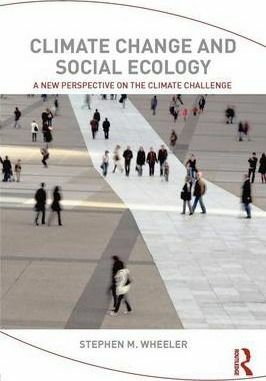 This book argues that, in order to address this impending catastrophe and bring about more sustainable development, we must focus on improving social ecology - our values, mind-sets, and social organization.